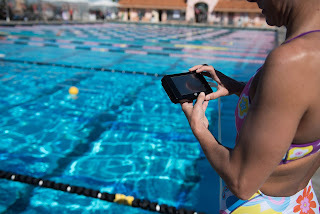 After the recent successes of Michael Andrew at the 2018 USA Swimming Phillips 66 National Championships in Irvine, California, there are various creative exercises that swimmers and water polo players can do to increase their strength, speed and racing stamina with KAATSU Aqua Bands, a KAATSU Nano, and a Bosu Ball while having fun. * Rest 20-30 seconds between each set. The number of repetitions should decrease on each set. * Get on the racing block and do 5 race starts with good breakouts and the inflated KAATSU Aqua Bands. Your legs will feel fatigued. * Then get back up on the starting blocks and do 3-5 good racing starts without the KAATSU Aqua Bands on - the improvement will be remarkable. * With KAATSU Aqua Bands on the KAATSU Cycle mode, swimmers and water polo players can also stretch before or after a workout. * Of course, KAATSU Cycles should be done before and after every intense workout for optimal warming up and warming down to flush out lactic acid. KAATSU users focus on three primary areas. 1. Athletic Performance: to improve speed, stamina, strength, muscle size or change BMI. 2. Rehabilitation: use together with physical therapy for people with broken bones, torn ligaments, tendons, or muscles. 3. Recovery: used for jet lag, insomnia and recovery from vigorous workouts or intense competitions. KAATSU Aqua and KAATSU Cycles are used in the off-season, pre-season, mid-season and championship season throughout the year. Prior to a championship competition, KAATSU Aqua and KAATSU Cycles are continued to be used during the taper phase in the days leading up to the competition and even during the actual competition. 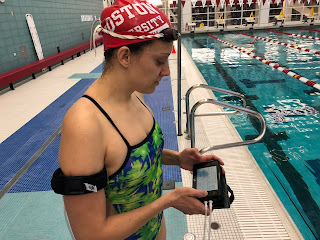 While the total distance and cumulative intensity of hard pool and dryland training tapers off in the weeks and days before the competition, there are distinct benefits and advantages in continuing to use the KAATSU Aqua Bands. Before and after each training session, KAATSU Aqua Bands can be used during stretching and to help prepare physiologically for their shortened taper workouts. 2-5 KAATSU Cycles before and after the workouts are recommended. In the water, the KAATSU Aqua Bands are recommended for use while practicing starts, turns + breakouts as well as a few strong sprints. KAATSU Cycles can be used on the (long) drive or flight to the competition. KAATSU Cycles on the arms - and especially on the legs - will help athletes (and coaches) relax on the night before the competition and during the morning of their races. The KAATSU Cycles can be done while simply sitting and relaxing or while doing easy stretching. 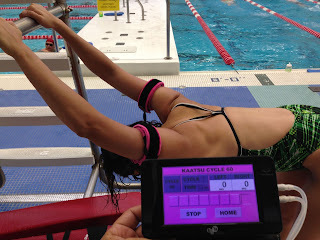 2-5 KAATSU Cycles on both the arms and the legs (done separately of course) can be done before getting in for warm-up or, preferably after the pool warm-up but before the first race. * 20 minutes before each race during the morning preliminary heats, he did 2 x KAATSU Cycles on his arms to warm-up using a Base SKU of 15 and an Optimal SKU of 150 (over a 7-minute period). He followed his KAATSU Arm Cycles with 2 x KAATSU Leg Cycles with a Base SKU of 20 and an Optimal SKU of 200 (over a 7-minute period) on the pool deck during his wait. * After each preliminary race, he did a traditional easy swimming warm-down of ~600 meters. * 15 minutes after his first race and warm-down and approximately 15 minutes before his second race of the day, he repeated the same KAATSU Cycle warm-up which also served as a warm-down from the previous race: 2 x KAATSU Arm Cycles with a Base SKU of 15 and an Optimal SKU of 150, followed by 2 x leg KAATSU Cycles with a Base SKU of 20 and an Optimal SKU of 200. * He returned home and rested before the final events in the evening. * For finals, he repeated the same KAATSU Cycle warm-up and warm-down protocols. * Throughout the 4-day meet, he did several lifetime bests, dropping time in each of his races. His most significant performance was in the 200-meter butterfly which he swam his best time of 2:14.48, a decrease of almost 8 seconds from his previous lifetime best of 2:22.30. Even with a long warm-down after finals, he did 2-5 KAATSU Cycles on his arms and his legs (done separately) in the evening upon returning home. This use of evening KAATSU usage at one's home or in the hotel will help the athlete recover physiologically during a multi-day competition. In the case of Sean, he came home at night and performed 3 x KAATSU Arm Cycles and 3 x KAATSU Leg Cycles while eating and watching TV. Like many other athletes, his KAATSU Cycle pressures were higher in the evening session compared with his in-competition warm-up / warm-down KAATSU pressures: 3 x KAATSU Arm Cycles with a Base SKU of 18 and an Optimal SKU of 200 (over a 10-minute duration) followed by 3 x KAATSU L Cycles with a Base SKU of 25 and an Optimal SKU of 300 (over a 10-minute duration for 20 minutes total). 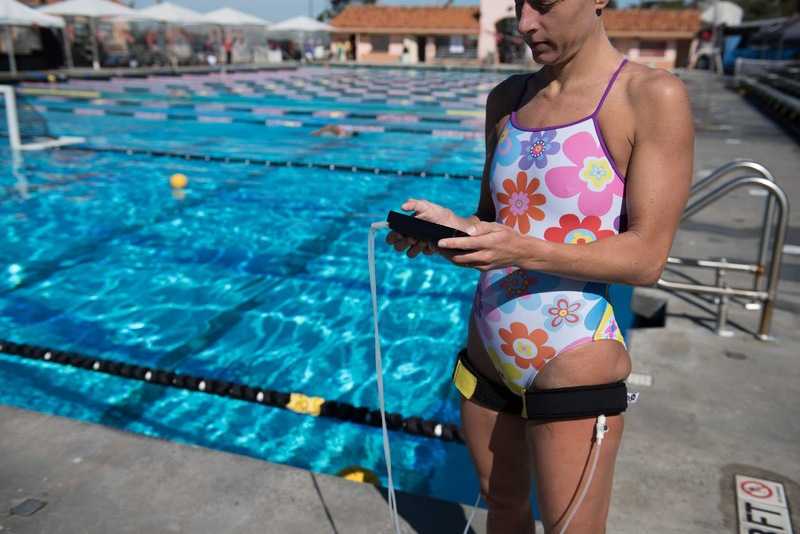 These same protocols can be used before, during and after volleyball tournaments, tennis tournaments, basketball tournaments, football games, ice hockey games, water polo tournaments, ski competitions, track & fields meets, baseball games and workouts. 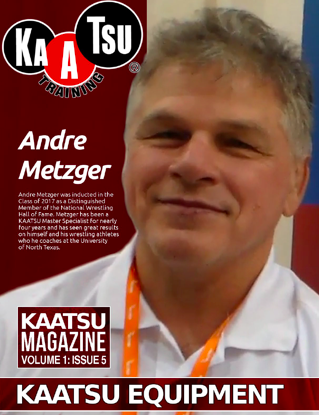 Andre Metzger is on the cover of the fifth issue of the monthly KAATSU Magazine. Andre Metzger was inducted in the Class of 2017 as a Distinguished Member of the National Wrestling Hall of Fame. Metzger has been a KAATSU Master Specialist for nearly four years and has seen great results on himself and his wrestling athletes who he coaches at the University of North Texas. He is a legendary high school wrestler from Michigan who won two NCAA titles for the University of Oklahoma and was a freestyle World medalist winning numerous international events over the course of his career. His Hall of Fame induction reads as follows, "Andre Metzger is one of the greatest technicians in amateur wrestling history, and he wrestled and won more matches than anyone, competing in over 2,000 matches and winning 1,870 for an estimated winning percentage of 93.5%. He was a state champion at Cedar Springs High School in Michigan and was the first wrestler to win five junior national titles, capturing three freestyle and two Greco-Roman championships. Before beginning his career at the University of Oklahoma, he wrestled in the 1979 World Championships and won a bronze medal to become the youngest American to medal in the World Championships at 19 years old. He was a two-time NCAA champion and a four-time All-American for Oklahoma, winning titles in 1981 and 1982 after finishing second in 1980 and fifth in 1979. Metzger was the United States Senior Greco-Roman champion in 1980 and a five-time U.S. Freestyle Champion, winning titles in 1979, 1982, 1984, 1986 and 1987. Metzger won gold medals at the Pan American Games in 1979 and 1987 while capturing silver medals at the World Cup in 1980, 1986 and 1988 and at the World Games in 1986. He was an alternate to Distinguished Member Nate Carr on the 1988 Olympic Freestyle team and defeated at least six Olympic gold medalists during his career. He returned to the mat in 2012 at the age of 52 and competed for a spot on the U.S. Greco-Roman team. Metzger was an assistant coach at Indiana University, University of North Carolina and Villanova University from 1983-88 and currently is the head coach at the University of North Texas as well as a member of the coaching staff for the Bombers of Frisco Wrestling Club." Metzger describes below how KAATSU helps his collegiate wrestlers at the University of North Texas and the Bombers of Frisco Wrestling Club make weight before their bouts. 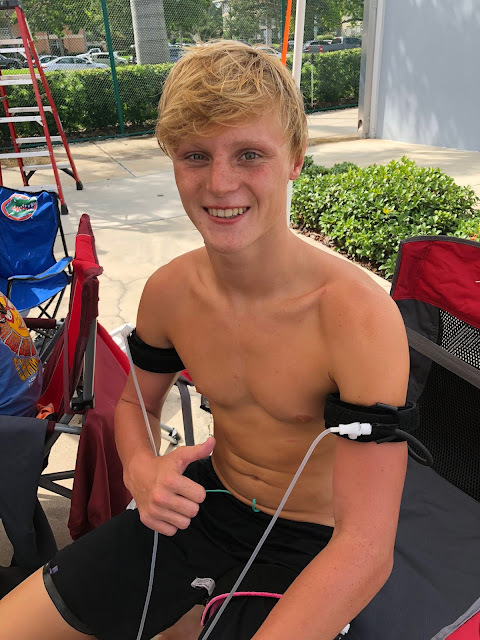 Metzger uses a KAATSU Nano and KAATSU Air Bands on his wrestlers' arms and legs (separately) with the appropriate Base SKU (compression) and Optimal SKU (compression) - while taking care to monitor their fluid intake. Workplace wellness programs very often involve employees going to corporate gyms or visiting offsite fitness centers or doing runs, walks or other preferred physical activities outside the office. These corporate wellness programs are widely accepted health promotion activities and organizational policies designed to support healthy behavior among employees in companies and organizations. Instead of going outside the office or outdoors, instead of changing out of your work attire, instead of messing up your make-up or hair, instead of wrinkling or perspiring in your work clothes, KAATSU technology presents the ultimate in convenience and effectiveness. KAATSU enables workplace wellness to take place in work cubicles, offices and on business trips anywhere from hotels or airport lounges with its myriad portable products from the KAATSU Nano to the PERL Wearables. Simple KAATSU exercises for the upper body in the office. Simple KAATSU exercises for stress relief in the office. Simple KAATSU exercises for the lower body in the office. Simple KAATSU exercises to get pumped up in the office. Simple KAATSU exercises using KAATSU devices can be performed by anyone anywhere anytime, including in offices and work cubicles in addition to in hotels and airports during business trips.